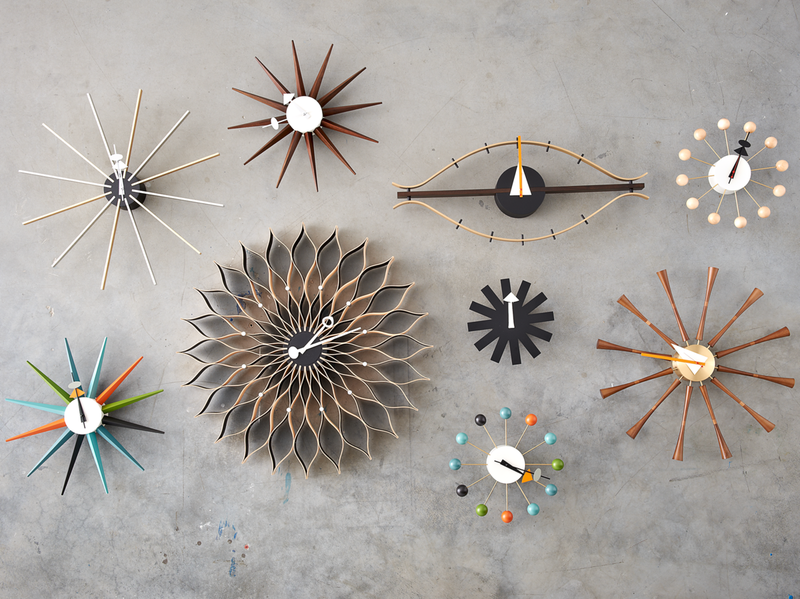 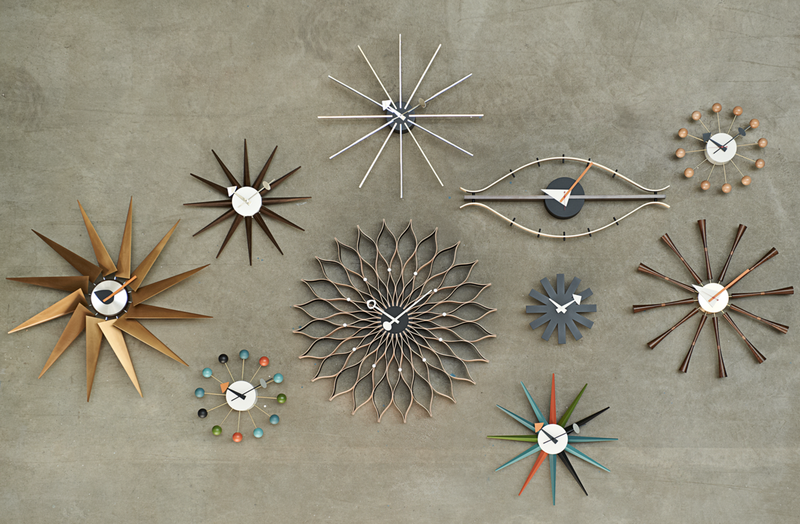 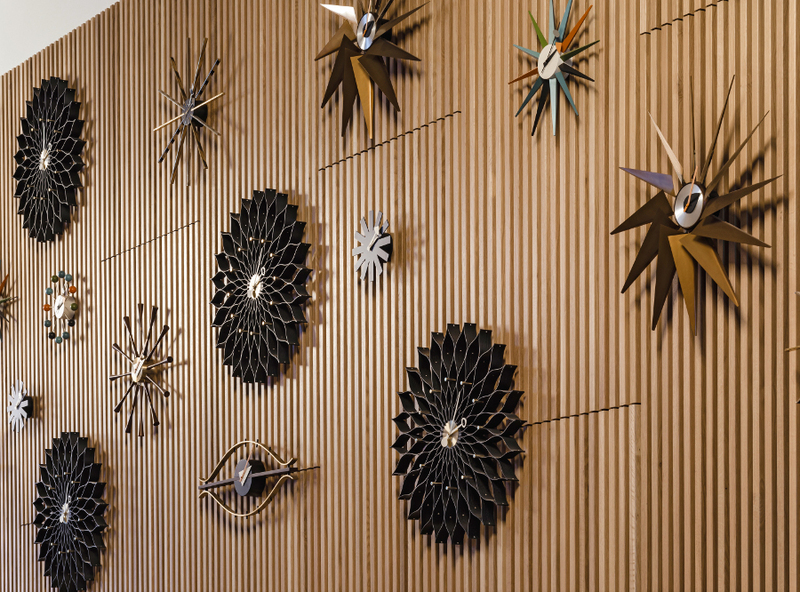 The extraordinary Vitra Eye Clock was designed in the 50s by George Nelson as part of a collection of contemporary wall clocks. 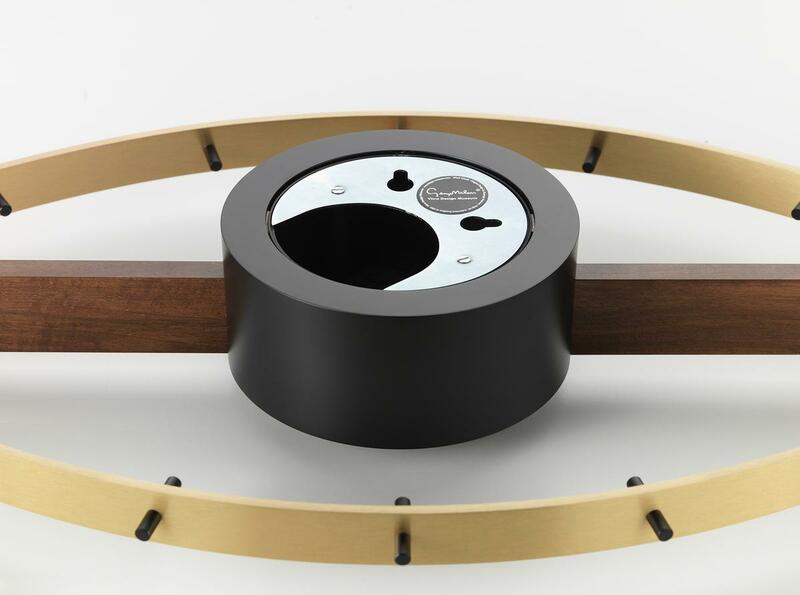 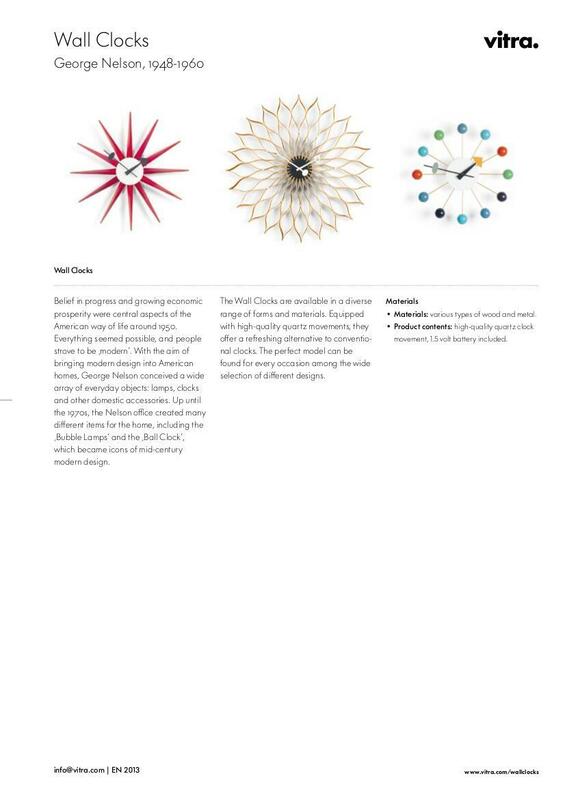 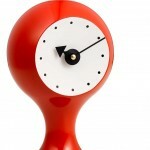 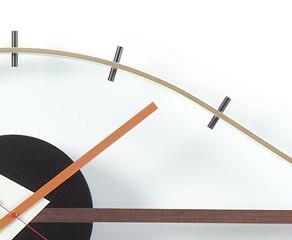 The Nelson Eye Clock emerged at a time of economic boom in America and a period when ever more Americans were turning to contemporary design as fresh and colourful alternatives to the more traditional American furniture. 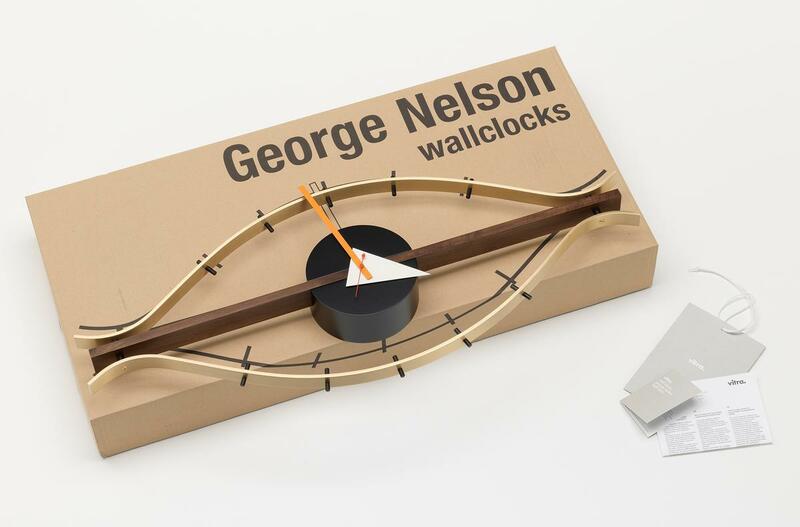 George Nelson took up the challenge and designed everyday objects that were not only functional but also decorative accessories. 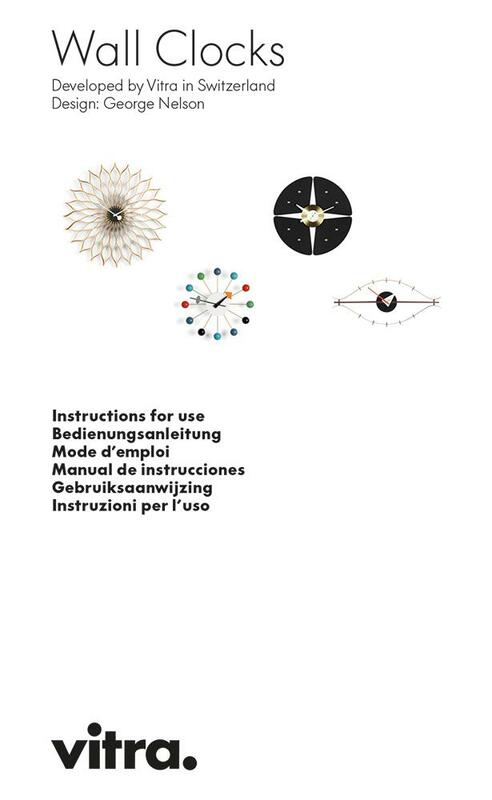 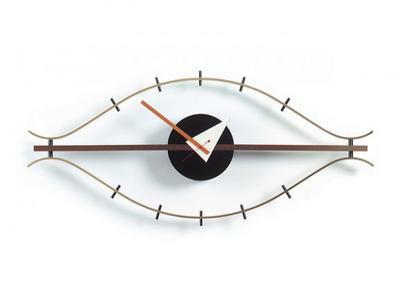 The Vitra Eye Clock is a particularly striking example which is formally reminiscent of an eye and thus reminds us all to keep an eye on time.